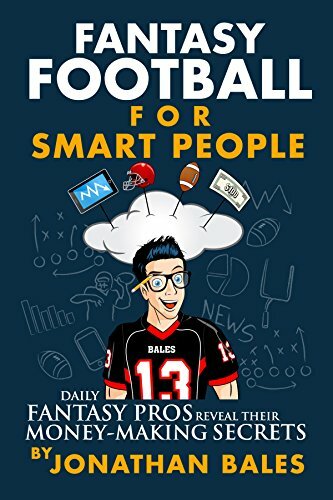 Fantasy Football for Smart People: Daily Fantasy Pros Reveal Their Money-Making Secrets is the first book to truly dig deep inside the minds of daily fantasy football’s most lucrative players—the ones raking in full-time salaries playing the game you love. With interviews from headchopper, Al_Smizzle, PrimeTime420, dinkpiece, naapstermaan, MrTuttle05, and others, you’ll learn exactly how the experts go about researching, projecting players, and creating their daily fantasy sports lineups each week. In addition, Daily Fantasy Pros Reveal Their Money-Making Secrets contains chapter-by-chapter commentary and analysis from author Jonathan Bales and Top-10-ranked daily fantasy pro Peter Jennings, a.k.a. CSURAM88. With unprecedented access to the strategies used by the world’s top players, you’ll learn how professional daily fantasy footballers are really cashing in…and how you can too.